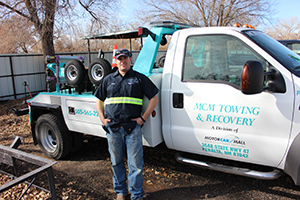 MCM Towing & Recovery is a division of Motor Car Mall. 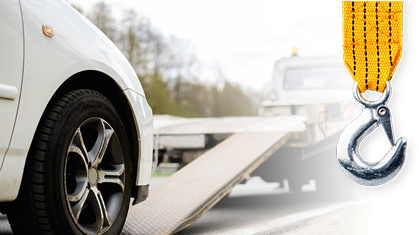 We offer complete Peralta towing & recovery with class A & B wreckers. We currently are on the rotation call list for the Local Bosque Farms Police, Los Lunas Police Department, Valencia County Sheriff Department & New Mexico State Police for calls 24/7. 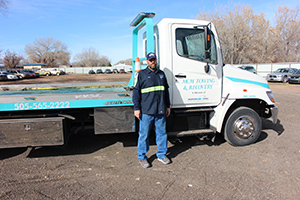 Our Towing Call Hot Line is (505) 565-2222 and is answered 24/7. If it’s good weather or bad weather, we will be there for you. We proudly service the Valencia County area and will also pick up and deliver vehicles to all the surrounding cities. As an added benefit, we offer towing discounts for our clientele if your vehicle is towed into our shop for needed repairs at your request, just ask for your special rate when calling. Our tow truck drivers are some of the best in the business. We offer fast response time and will take good care of you and your vehicle, so give us a call for Valencia County towing.